The trailer for Alien Trespass. 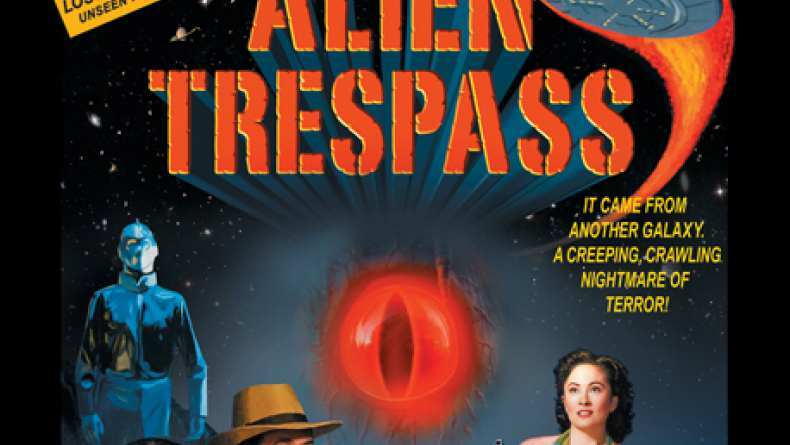 Set in 1957, Alien Trespass chronicles a fiery object from space that crashes into a mountaintop in the California desert, bringing the threat of disaster to Earth. Out of the flying saucer escapes a murderous creature – the Ghota, which is bent on destroying all life forms on the planet. A benevolent alien from the spaceship, Urp, inhabits the body of Ted Lewis (Eric McCormack) – a local astronomer – and with the help of Tammy, (Jenni Baird) a waitress from the local diner, sets out to save mankind.